In the industrial segment, the Internet of Things (IoT) is changing everything, or it soon will: From industrial equipment, to processes and the way people work, to business models and even core requirements, everything is shifting. Few companies exemplify this trend more than 123-year-old industrial titan General Electric (GE), which announced in January that it will pull up stakes from its long-established corporate headquarters in Fairfield, Conn. and move to Boston — home to a large number of universities, enterprises and startups focused on technology and helping to drive the IoT revolution. GE Chairman and CEO Jeffrey Immelt made no bones about the fact that the concentration of elite research universities — like the Massachusetts Institute of Technology (MIT) and the University of Massachusetts Lowell (UMass Lowell) — and tech firms put GE at the top of the list of potential homes for the company's new headquarters. "We want to be at the center of an ecosystem that shares our aspirations," Immelt said in a statement at the time. But GE isn't just changing geographies. The whole company — with more than 300,000 employees and more than $117 billion in annual revenue — is undergoing a revolution driven by digital transformation and what GE calls the Industrial Internet of Things (IIoT). In September of last year, GE announced the creation of GE Digital a new unit intended to make digital the core foundation of GE's operations. "As GE transforms itself to become the world's premier digital industrial company, this will provide GE's customers with the best industrial solutions and the software needed to solve real world problems," Immelt said in a statement. It will make GE a digital show site and grow our software and analytics enterprise from $6B in 2015 to a top 10 software company by 2020." "With this alignment — backed by sustained investment — we will accelerate our efforts to build GE's digital strength and win in the Industrial Internet. We are building the playbook for the new digital industrial world by harnessing our horizontal capabilities including Predix, software design, fulfillment and product management, while also executing critical outcomes for our customers. This is the strength of GE." Mark Bernardo, leader of Professional Services, Americas at GE Digital Services, says this transformation goes well beyond GE's corporate structure. It goes to the root of the company's processes and operations and showcases how digital transformation, IIoT and IoT will change other companies as well. It almost goes without saying that GE's heritage is the Six Sigma methodology for business process improvement. Motorola engineer Bill Smith may have first introduced Six Sigma there in 1986, but the methodology gained powerful wings when Jack Welch, then chairman and CEO of GE, adopted it as GE's central business strategy in 1995. Over the course of five years of implementation, Welch credited the methodology with saving the company $12 billion. But Six Sigma is often criticized for its rigidity. It can be slow, plodding. In the new, digital world, speed and agility are the name of the game. "The real sweet spot for IoT everywhere is agile velocity," says Bernardo, who spoke with CIO.com at an IoT Meetup in Boston last month. "You need to be able to pivot on a dime to try something new." "Rather than putting together a project plan that ends with a big bang in three years, you need to carve out some specific outcome that can be delivered in the near-term," he adds. 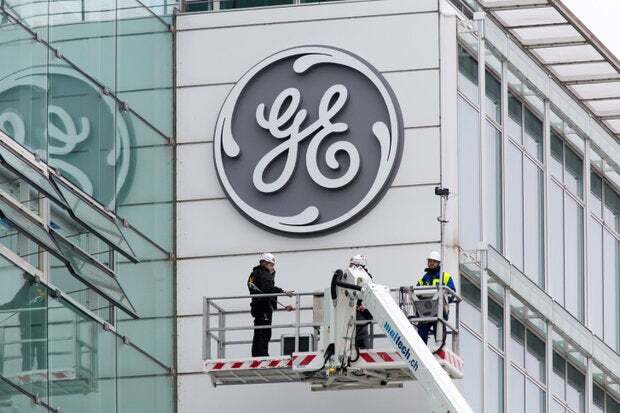 That's not to say that GE will abandon its Six Sigma heritage overnight, but driven by GE Digital and Immelt's mandated digital transformation of GE's own manufacturing plants, the company is increasingly adopting agile approaches, Bernardo says. It's eating its own dogfood. "You have to start with a conversation with the stakeholders," he says. "Go after the assets that are going to drive the most value in your business; find out where you have the most unplanned downtime today. Then figure out how to digitize it and go after it immediately." And by "you," Bernardo means CIOs and the IT function. In the past, the primary stakeholders in the manufacturing space were the operations teams. But that's now shifting toward the CIO and the IT team as a whole, he says, as IT becomes the life's blood of the plant. Agile CIOs who can identify incremental value and deliver it to stakeholders rapidly will excel. "Businesses really want to go faster than they ever have before," Bernardo adds. "You have to avoid the big bang approach. Put incremental value in the hands of the right stakeholders in the business and allow them to drive change management internally. That's where you really start to start to drive some speed." One of the big hurdles to doing so simply comes down to change management, Bernardo says, particularly around requirements. "One of the biggest transitions we had to make in the manufacturing space was learning that custom experiences is not necessarily the path to speed or wide-scale value," he says. In the past, most plants had lengthy lists of requirements that made running each plant a custom experience, he says. Whatever those requirements were, the services team would agree and make it work. But many of those requirements weren't backed up by best practices. In many cases, Bernardo says, they were there simply because that's how it had always been done, or even for reasons that might no longer apply. Regardless, those requirements could create bottlenecks in the design and maintenance of such environments. And that presents a critical opportunity for CIOs who can see beyond requirements and identify the desired business outcome. "They have to take ownership of their leadership position in the change effort," he says. "Forge relationships with all the other stakeholders in the business. Truly go into listening mode to go one step beyond the requirements they have to the actual outcomes they want." That's not to say experiences can't be tailored to specific needs, he notes, but core values need to be built with a primary set of best practices. "We have become incessant about the word 'why'," Bernardo adds. "'Explain to me why that particular requirement is needed.' Once you get to the root of that, you'll essentially come to the desired outcome." And outcomes are what it's all about, he says. By instrumenting and connecting industrial equipment, the industrial internet promises the ability to rewrite business models themselves. "Instead of selling a turbine, what if we sold guaranteed megawatt output?" Bernardo asks. "What if instead of selling a jet, we sold uptime or thrust? It really does create a shift from a product-based world to an outcome-based world." That's not just science fiction. It's already starting to happen in some areas, where GE is guaranteeing the performance of its equipment. Derek Porter, general manager of Product Management at GE Digital, points to the company's engagement with RasGas a liquefied natural gas (LNG) provider in Qatar. RasGas operates seven LNG trains (an LNG plant's liquefaction and purification facility) in Ras Laffan Industrial City. "The trains were identical but weren't performing identically," Porter explains. "By monitoring performance with sensors all along the train, we were able to diagnose that the difference came down to some valve settings. That saved them the equivalent of three days of energy production — around $8 million." It is important that CIOs of industrial companies begin thinking about the industrial Internet now, if their companies are to thrive in the digital world, Bernardo says. "Simplify the solve," he says. "IoT, cloud, analytics, mobility — everyone understands the value, but they feel complex. Get yourself connected. Find the most important assets and processes and prioritize getting the data off of that and delivering insights to the right people." "Your business has to transform. Your behaviors have to transform. Your talent has to transform," he adds.